ps.- The group is free to join. 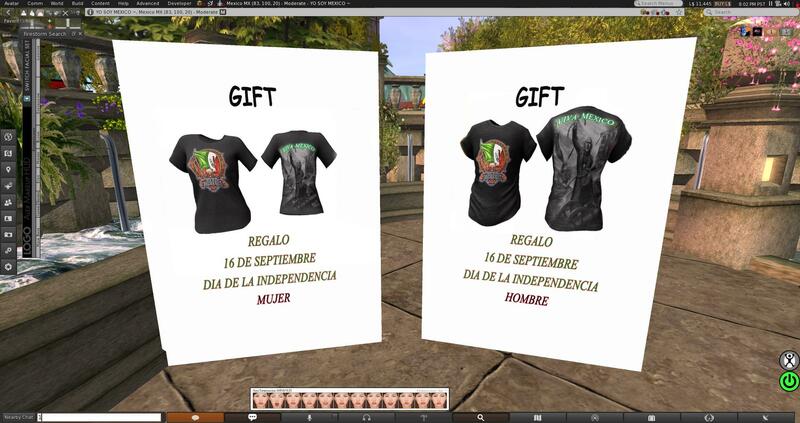 Take a vacation and head to Mexico in SL! You’ll be happy you did. There’s 6 Free Complete Avatars, male and female! furniture … [CIRCA] Living – Charlotte Bay – Full Room set – Mono Blues … comes with 8 blue color combinations plus animations for singles and couples! For those new to The Chapter Four, it’s an event that’s truly one of a kind. It features hand-picked creators that design custom mesh products. Four is important here, because there’s exactly four rooms where each room is dedicated to gacha prizes, 2-for-1s, being half price, or are at least under 100L! For more on The Chapter Four, visit their official website. Be sure to join the group for free to claim all the gifts 😉 TP to the event here.